Get your fermentation started faster and finished cleaner by oxygenating! 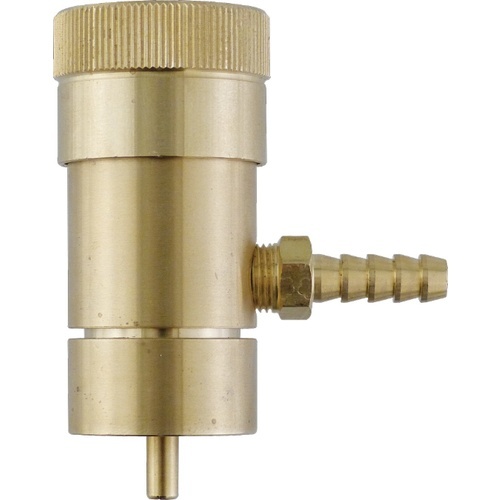 Just screw this high quality brass regulator to the top of a disposable oxygen bottle, and use it with one of our diffusion stones to aerate your wort. I needed it to add air to wort and couldn't get it local. Need to oxygenate my wort better. Where can I buy the tanks that will fit? I tried the bernzomatic tanks form Lowe's or Depot, but they do not fit. BEST ANSWER: Hi Rick - This item is intended to use with an fermenter aeration device. Just screw this high quality brass regulator to the top of a disposable oxygen bottle, and use it with one of our diffusion stones to aerate your wort. THIS IS A CADILLAC PRODUCT COMPARED TO THE OTHER TWO VALVES THAT FAILED FROM ANOTHER ON LINE SUPPLY HOUSE. Works fine - might be over engineered as its super heavy. Built more rugged than my last one. Cheap alternative to more expensive regulators. It does what it's supposed to but I do wish I would have bought one with a gauge. I feel blind opening it up and letting it fly without knowing just how much O2 I'm pumping into my wort. Made very well. Solid. Will last a long time. Sturdy & well-made. Love it. No more shaking that keg. Never again!!!! Before I pulled the trigger on this thing I was pouring back and forth between the boil pot and fermenter to get a foamy head on my beer. This kinda worked - I got good beer - until I started to play with higher gravity worts. It wasn't until I started oxygenating with pure oxygen that I got the kind of attenuation I needed to make those dry Golden Strongs I love so much. If you want a healthy, vigorous ferment, you need plenty of oxygen. The cylinders are pricey, but I get about ten batches out of one, so it's about $1 a batch. Worth it. For the price this has worked great for me. Fastest way to to get o2 into your wort. Solid piece of gear that aids in the most important step of brewing ......... Fermentation! A nice piece of equipment to use with the disposable oxygen canisters. My only issue is that mine discolored after a couple of brews (more my fault, as I'm certain it got wet and didn't dry properly). works Great with the red oxygen bottles.Hard to really determine the same setting each time by looking at the dial. So I turn it on in a bucket of Idophor solution until the bubbles are just fizzing out, then go straight to my fermenting vessel. I use this with a diffusion stone on a small oxygen cyl. you can get at Home Depot or Lowes. Good way to aerate your wort. Just remember the threads are backwards so turn it lefty tighty. Stupid me, didn't realize that the O2 bottles are left hand threads, thought I had a defective part. Low and behold, I figured it out and now 2 batches later, the lag time is phenomenally short, and the yeast love me(and the sugar)! Great item, great price, great people to buy homebrew items from. Works great. I no longer worry about whether or not my wort is adequately aerated. My beer took a giant leap forward when I started Oxygenating with pure O2. This product is unique in that it comes fitted with a 1/4" barb. Some models come fitted with a smaller barb, which means you have to fit 1/4" tubing around your stone and connect it to smaller tubing, which normally causes leaks. My first model had this issue, and after losing the O2 stone in the fermenter, I upgraded! My only add-on would be a stainless want in place of tubing. narcotic, and can't be obtained without a prescription, I started looking for another way to oxygenate my wort. 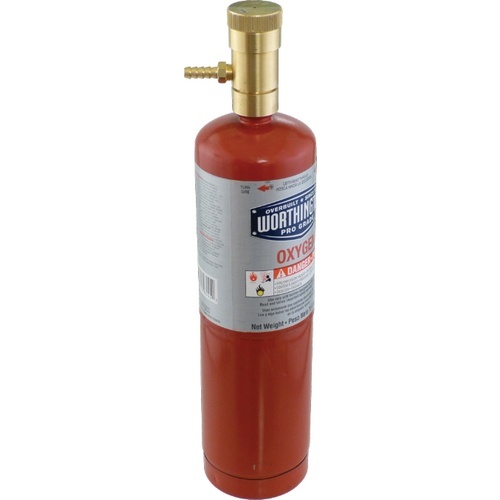 This regulator works perfect for for the small portable oxygen tanks at Depot-o. Oxygenating sure beats the heck out of shaking carboys. This is a very quality piece of equipment. Prior I had a one with a plastic dial and it broke... imagine that! This is all brass and will last a long time. A little high priced but the quality is worth it.